I don’t know exactly how I found MindNode, but I’ve been using it for at least 5 years as the primary place I get ideas out of my brain to organize and write. I used it in grad school, I’ve laid out semesters worth of lessons, and most blog posts (including this one) begin in MindNode. Version 5 of MindNode for iOS releases today, and it is a terrific update. MindNode 5 brings iPhone X support, iOS 11 Files support, and Drag and Drop to the app. These are needed/welcome changes, but not the most exciting features of the update. It also features an all new design that fits in really well on iOS 11 and the iPhone X especially. Menus are now located in a card that can be resized by the user and feature more options for customizing the appearance of your mind map. 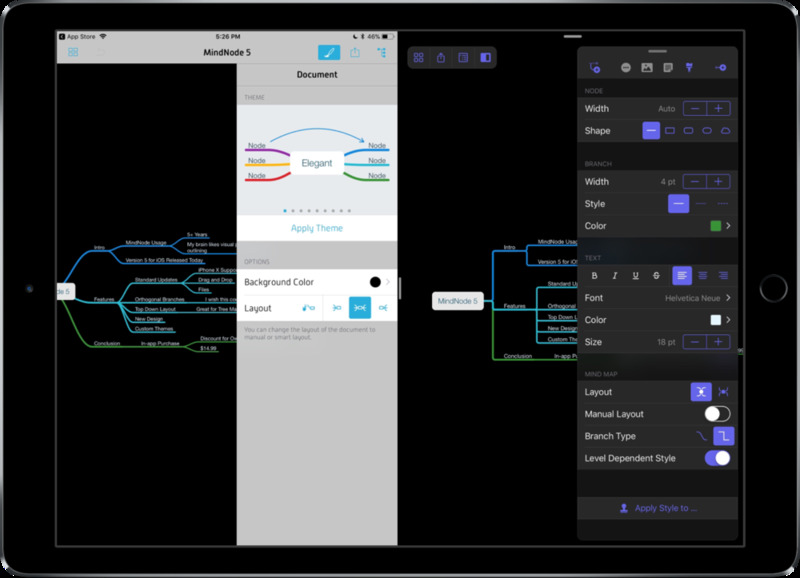 Also, if the background of the mind map is black, MindNode will convert the menus to a dark mode. These customizations can be saved as custom themes that can be reused. I’ve made my own dark theme I really enjoy. Perhaps my favorite new feature is an option to have “orthogonal branches.” Basically, lines in your map can have 90 degree angles instead of just being curved. I think this looks really nice, and I wish there was an option to have this be the default. Branches can also be placed in a top down orientation which I use with my students for tree maps. 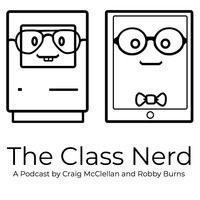 This is a great new version of one of my favorite apps. It’s free to try with an in-app purchase of $14.99 to unlock the full version. If you’re an owner of MindNode 4, the new version is $9.99.